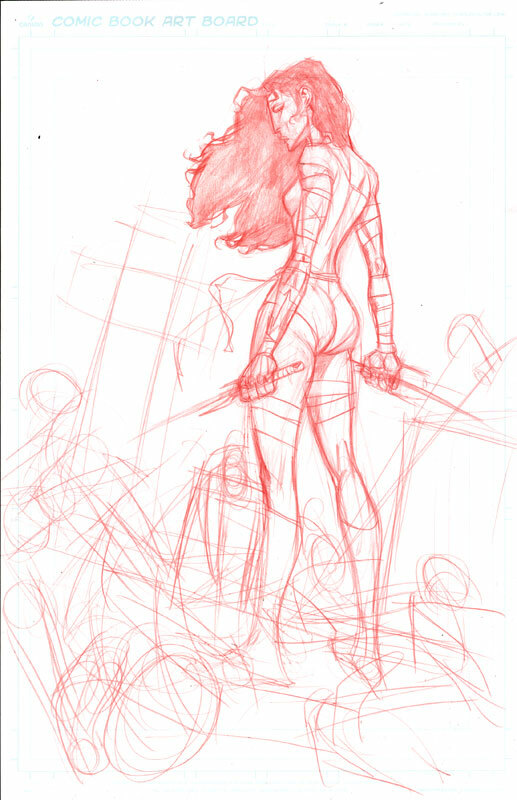 Mike Hawthorne: Drawing for fun - ELEKTRA LIVES! For those of you that missed the previous process posts, here's all the steps I scanned. Hey Will! thank you, homey!